Our very own Managing Director, Paul Wadsworth, is pleased to have won the inaugural Broker Network Awards’ Industry Achiever Award. 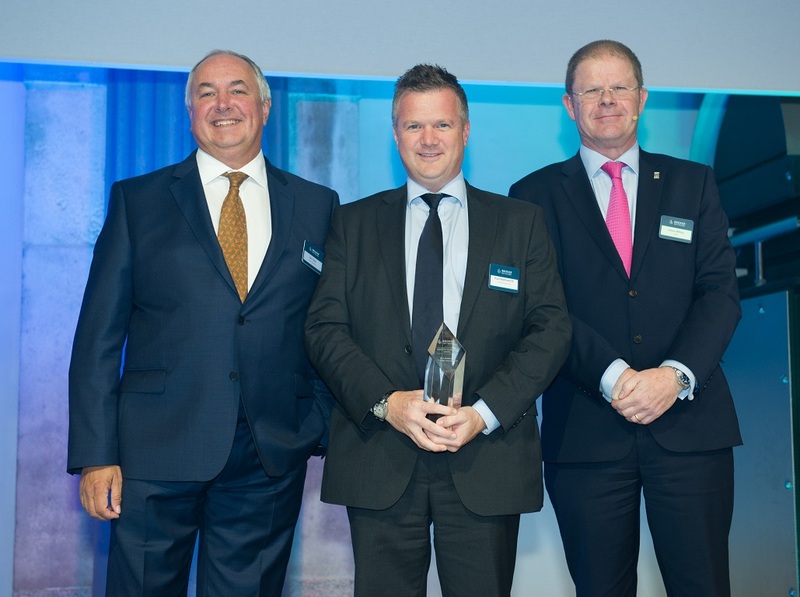 The award was presented by Executive Chairman Ian Clark on 7th October at the 2016 Broker Network National Conference, held in London’s historic Old Billingsgate and attended by around 700 delegates from across the UK’s insurance broking industry. The award recognises Paul’s strong leadership of the business. Over the last 5 years we have organically grown by some 70%. The award also recognises Paul’s impressive range of roles in the local community, having been a town councillor, a governor and having chaired the PTA at his children’s school. He is also well known for his philanthropic activities including fundraising for neighbourhood charities and sponsoring local events and teams. Paul said, “It has been a pleasure to guide this dynamic business as it goes from strength to strength, and it is a personal privilege to be recognised at this prolific industry event. I extend my thanks to Broker Network, and of course my excellent team at FR Ball for all their hard work, who have all contributed and continue to contribute to our success”. Established for more than 50 years, we continue to offer a dynamic and competitive insurance broking service. Everyone at FR Ball would like to thank Broker Network for their recognition.